OXO 3-Blade Spiralizer With Suction Base Just $29.99! Down From $40! 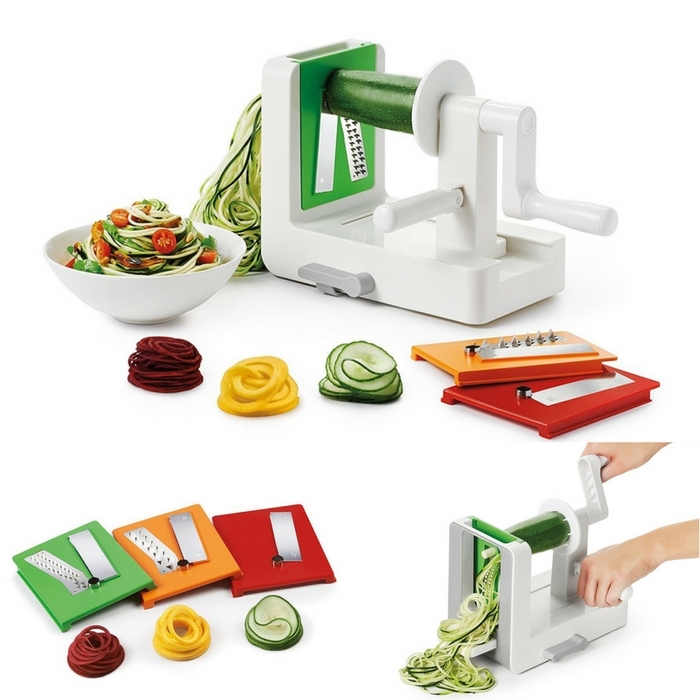 You are here: Home / Great Deals / Amazon Deals / OXO 3-Blade Spiralizer With Suction Base Just $29.99! Down From $40! Prepare the same recipes you love so much, with the same texture and taste, but with much more minerals and nutrients! This is a great tool to be creative in cooking your meals especially for your children who don’t eat vegetables! Be your own chef and enjoy a tasty and happy meal! Excited? Me too! Go to Amazon and score Oxo 3-Blade Spiralizer with Suction Base for just $29.99 down from $39.99 PLUS FREE shipping with Amazon Prime or for orders over $35!